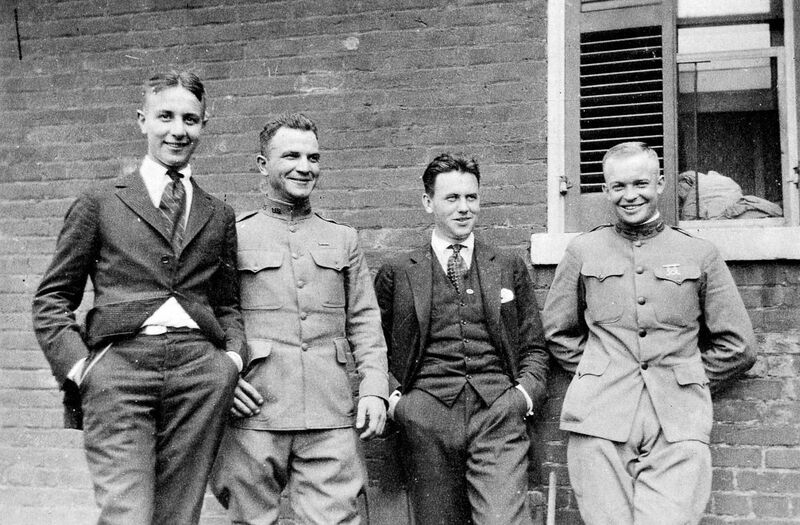 William Stuhler, Major Brett, Paul V. Robinson and Lt. Col. Dwight D. Eisenhower in Columbiana, Ohio. 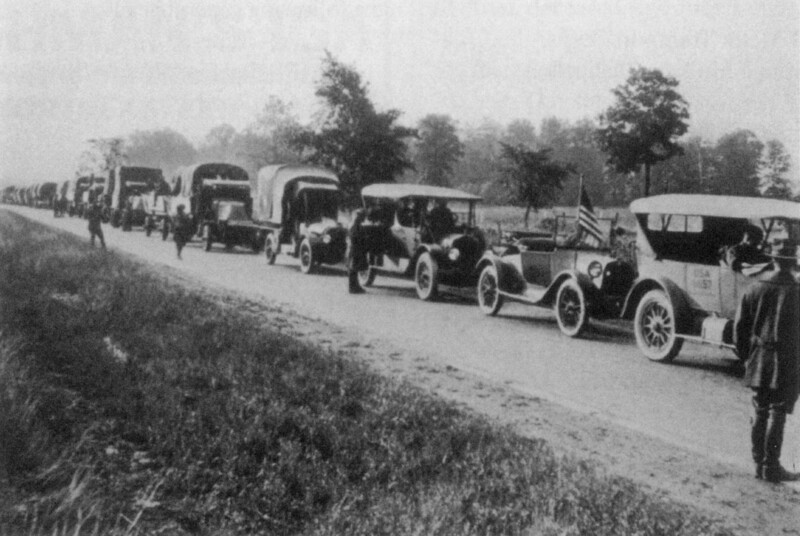 The Lincoln Highway Association is pleased to announce that it will be hosting a tour commemorating the centennial of the 1919 Army convoy across the Lincoln Highway. The original convoy during the summer of 1919 was a monumental event in the history of the United States. 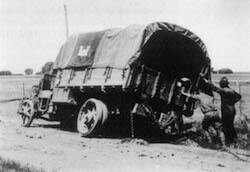 On that convoy was a young army officer named Dwight Eisenhower, who learned many lessons as they crossed the country on the Lincoln Highway. 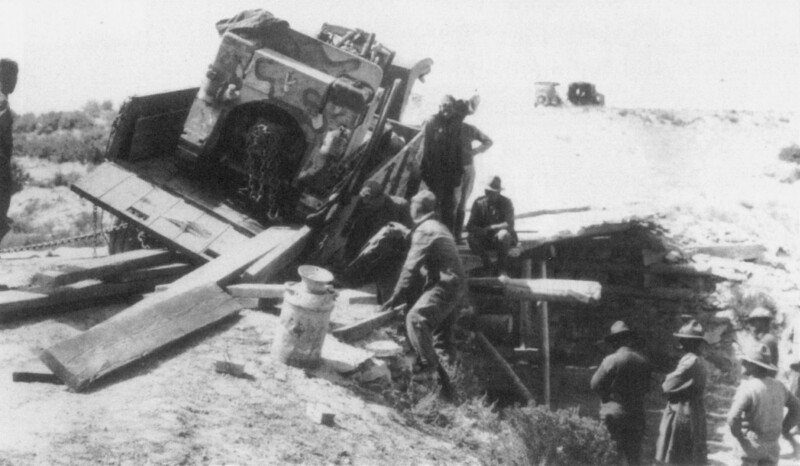 Eisenhower learned that military vehicles were often too heavy to cross bridges designed for passenger cars, resulting in the need for temporary bridges to enable river crossings. This knowledge proved useful when the Allied forces moved men and equipment across Europe during World War II, as the Germans destroyed bridges in their path. Eisenhower also learned the importance of good roads, not only for civilian travel, but also for national defense, as it is imperative for the armed forces to be able to move quickly and efficiently to provide this important function. This knowledge was reinforced again during World War II, when Eisenhower saw the great roads the Germans had on which to move their war machine. From these experiences came today’s Interstate Highway System, which had its start during Eisenhower’s presidency in the 1950s. During the first two weeks of September 2019, we will retrace the path of Eisenhower and the Army convoy. The tour will begin near the White House in Washington, D.C. and will travel at a leisurely pace, averaging under 200 miles daily, ending in San Francisco at the Lincoln Highway’s western terminus. Because of the historic nature of this tour, participants are welcome and encouraged to drive vintage vehicles from any era — military or civilian — as you please. The event is structured so that it allows each vehicle’s “crew” to travel at its own pace during each day. We don’t convoy, so your speed is set by you, the driver. We suggest having at least two people per vehicle so that one can drive and the other can navigate; however, many drivers have gone solo on past tours with no problems at all. Meals, attractions and lodging are pre-arranged, and we always gather as a whole group for dinner each evening. Those of you who have traveled on a Lincoln Highway tour in the past know you’re in for a great trip. All arrangements are made in advance, from the meals, snacks and attractions, to your overnight accommodations — it’s all planned. All you have to do is register, decide what vehicle to drive, and be there! The tour group will assemble near the White House in Washington, D.C. the morning of Saturday, August 31, and travel north on the Lincoln Highway feeder route, reaching Gettysburg, Pennsylvania later in the day. There, in addition to the famous Civil War battlefield, we will visit the retirement home of President and Mrs. Eisenhower, where we’ll experience life on his special farm. From there it’s westward ho, following the route taken by the Army a century ago. 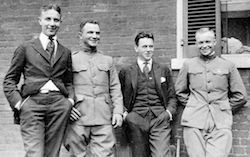 Before leaving Pennsylvania, the journey strays north from the Lincoln Highway as it winds through the Beaver Valley and into Ohio, for the purpose of entertaining the troops at the homes of several prominent dignitaries of the day. The tour reconnects with the main Lincoln Highway route as it completes its trek across Ohio, then west to California. Along the way, the past and the present of this great byway is yours to experience. There is no better way to travel the country than on its historic two-lane roads, as you will soon discover. Every turn will be a new adventure, every stop a new memory. The farm lands of the Midwest will yield to the prairies of Nebraska, the mountains of Wyoming, the deserts of Utah and Nevada, and finally the fertile California valleys leading to the Pacific. There will be multiple stops planned for you daily, to ensure that you don’t miss a thing. And anyone who’s been with us before knows that nobody goes away hungry! The tour planners have been diligently working on a great adventure for you. Paul Gilger, Jerry Peppers, Olga Herbert, Michael Owen, the Cassler family and many others look forward to seeing old friends and making new ones on this excursion. Because of the availability of lodging and the size of venues, the tour is limited to 60 vehicles. Registration will close on June 30, 2019, so make your plans and don’t delay! Tour fees are flexible to allow you to participate in all or part of the tour as your time permits. You can join the tour for as few as two days, for its entire length, or anything in between. If you are traveling alone and would like a passenger, or if you want to go but can’t swing the car, let us know and we’ll try to hook you up with either a passenger or a ride. 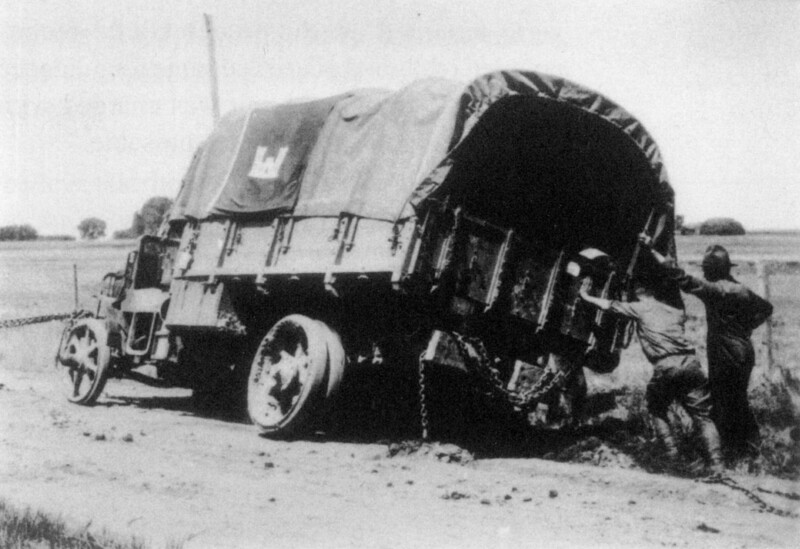 The Military Convoy tour will provide an experienced support team consisting of a Tour Director to handle all the arrangements, a Mapping Coordinator to prepare the route and turn-by-turn instructions, and a sweep truck crew to assist with breakdowns or other problems that occur while on the road. Your tour fee does not include your fuel, personal expenses or lodging. Prearranged lodging is available at discounted rates at motels in our overnight locations. You will receive a lodging order form by March 1, 2019, or after your tour registration is received.